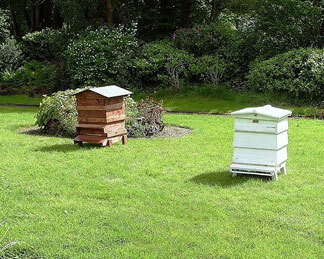 Tá Fáilte Romhat – Welcome to Westport’s Beekeepers Associations website. WBKA NEXT MEETING – 8.00 p.m 02/04/19 Teagasc Centre, Westport – Speaker on the night is Cormac Langan, WCFE, his experience of what flowers and trees are best suited to bees and other insects for forage! A hearty warm welcome to you, thank you for visiting our website and I hope you enjoy your stay.We are a small association of people who enjoy bees and beekeeping (and honey!). The aim of the web site is to serve the members of the WBKA in an effort to get the most out of each other, our bees, and life in general. Here in Westport there were a small number of beekeepers who kept beehives. In autumn 2009 we decided to form a Beekeepers Club for the first time in Westport, it is affiliated with the Federation of Irish Beekeepers since February 2010. We are very keen to attract new members and hope to expand the numbers in the coming years. If you are interested in beekeeping or thinking of joining our club, please come along to any of our meetings or click on ‘How to join’ to get further information. To browse through our developing website, please use the navigation bar at the left hand side to view the different pages. This is our ‘Home’ page. If you are re-visiting the site, you may wish to click on ‘Latest News’ to see what’s been added or changed. On our website, you will find details about our programme of lectures and demonstrations which we will run over the winter months, amongst other information, articles and news updates. We hold our meetings at the Teagasc Centre, Newport Road, Westport, (Eircode: F28 W681) on the first Tuesday of each month at 8.00 p.m. with the exception of the summer months. Bees are fascinating, industrious little creatures but BEE warned, as what starts out as a passing interest may become something of an obsession.You will find great enjoyment from keeping one of nature’s most wondrous creatures. It is well worth joining our association where we endeavour to encourage and inspire you to bring bees into your life.